It’s Monday! What Are You Reading? 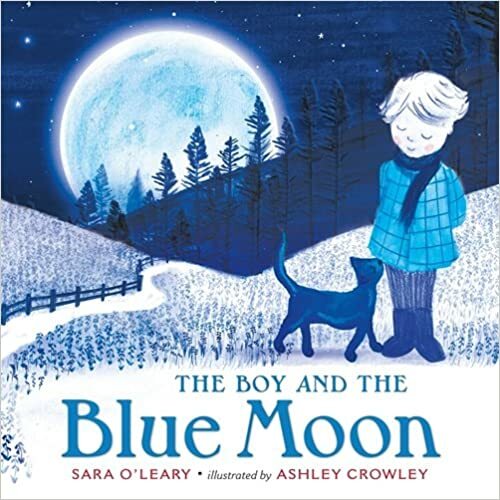 Books to Celebrate the Moon! 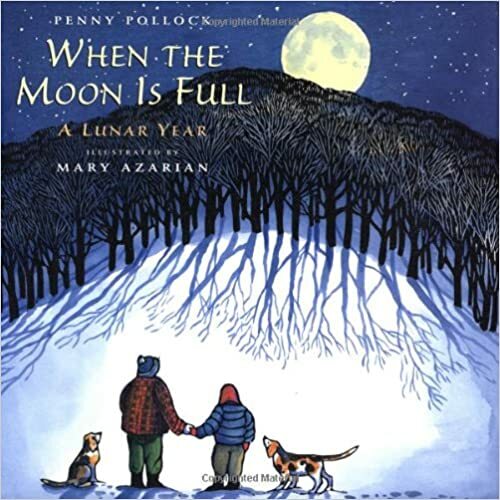 With the “Super Blood Wolf Moon” and lunar eclipse tonight, I thought it would be a great time to feature a few of my favorite moon books! Starting with my sister’s book – Taan’s Moons – of course! A beautiful collaborative story written by my sister, Alison, and a group of kindergarten children from Haida Gwaii. Gorgeous felted illustrations by Kiki van der Heiden. This book is about cycles – of moons, of seasons, of bears, of life. I may be a little biased, (since I know the author so well!) but this is a beautiful book. Most of us have heard of September’s Harvest Moon, but did you know that January’s full moon is called the Wolf Moon, because Native Americans believed that wolves become restless in January? March is the Sap Moon, because its warm days and cold nights cause the syrup to run in the maples. 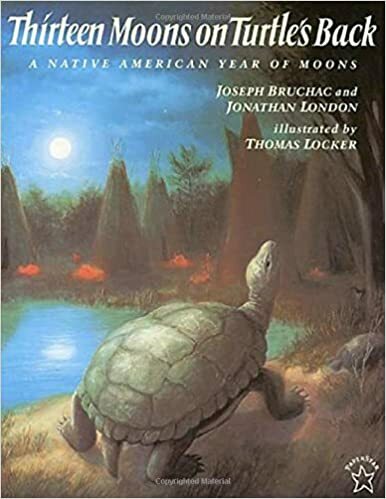 This beautifully illustrated collection of poetry follows the monthly path of the moon with traditional Native American names for each month. Gorgeous hand-colored woodcuts by Mary Azarian. There is also a question and answer section in the back of the book. 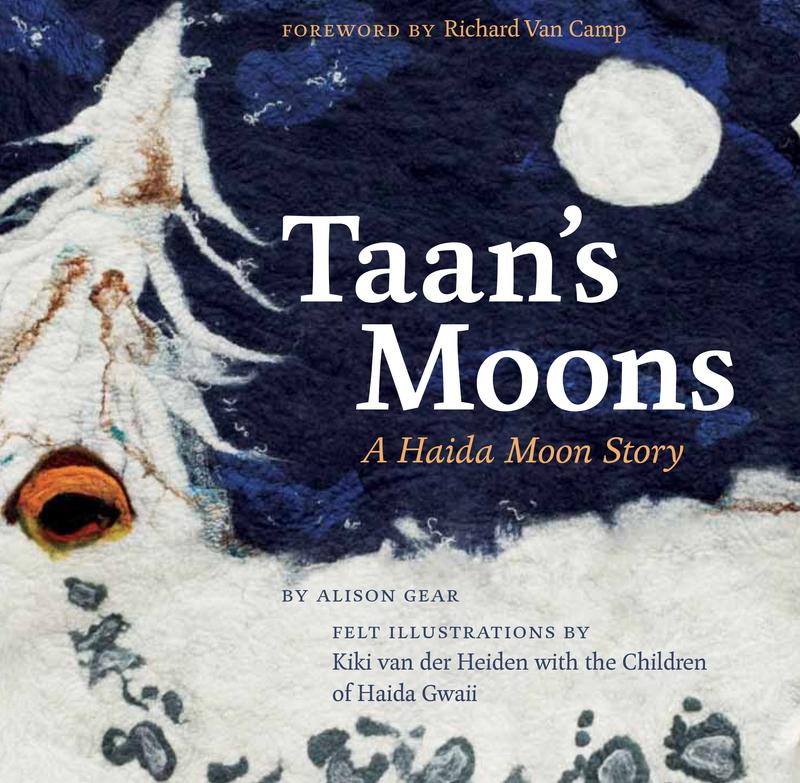 A great book could be used with primary grade children when studying the phases of the moon and to pair with Taan’s Moons to compare how different indigenous people view and name the moons. In Native American legend, the thirteen scales on Old Turtle’s back hold the key to the thirteen cycles of the moon and the changing seasons. In this story, a grandfather tells the story of the thirteen moons to his grandson. Each moon story has been chosen from each of the thirteen Native American tribal nations in different regions of the United States and each gives the reader a true sense of the the belief of Native American to notice the world around them. Such a clever way to learn about the day to day changes of the moon. 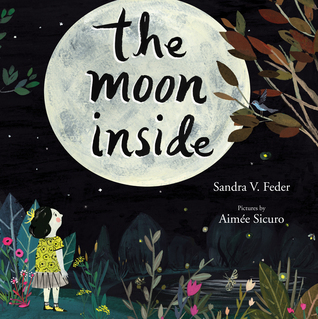 In this brand new picture book, readers will learn the lunar cycle through clever peek-through holes, each revealing the moon in a different size and shape. SO beautiful! Such a gorgeous book! A young child bakes a Mooncake with her mom. She’s told not allowed to eat it, but, she does nibble on it a little bit everyday. A unique and intriguing way to explain the phases of the moon. Simple black and yellow illustrations evokes a soothing feeling of nighttime. Love Little Star’s and her mother’s black pajamas with big yellow stars on! Don’t forget to check out the end papers! Shhhhhh….. there is magic between these pages. 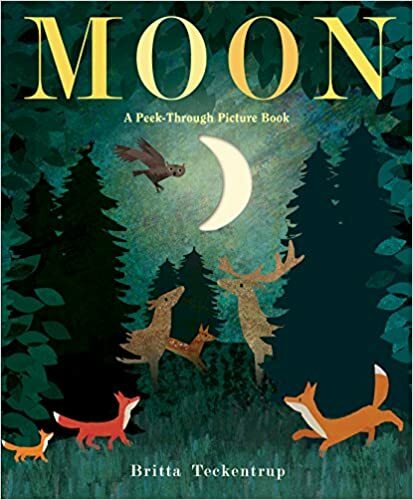 Start with a little boy and a cat on a nighttime adventure…Sprinkle a little touch of Where the Wild Things Are, Owl Moon, and The Little Prince... weave together some facts about phases of the moon, the solar system and dreams. Oh… and don’t forget some spectacular illustrations. What can I say? Sara O’Leary (A Family is a Family is a Family, This is Sadie) continues to create these whimsical, magical books that beg to be shared. And this one just might be my favorite. The author shares his own childhood memories of playing pond hockey on frozen backyard rinks. 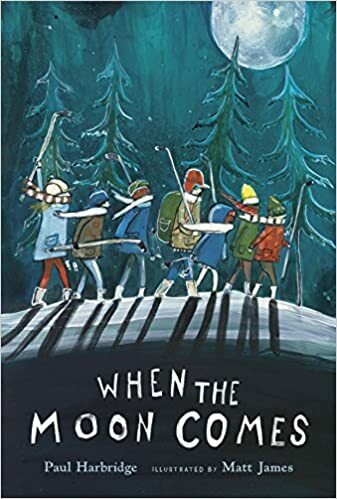 Whether you are a hockey fan or not, this book celebrates a sense of adventure and the magic of time spent outdoors. Gorgeous figurative language makes this a wonderful anchor book for descriptive writing and capturing small moments. The illustrations are stunning. 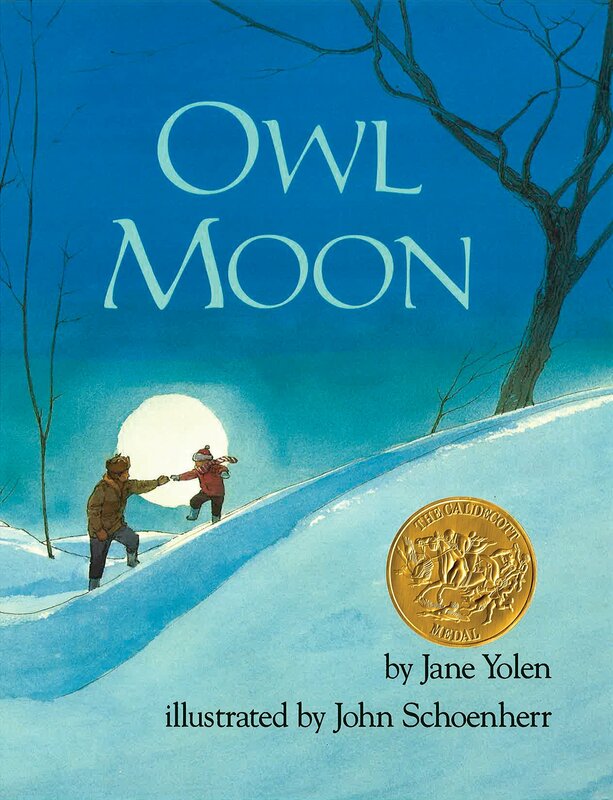 This classic book about a young girl and her dad going owling one night by the light of a winter moon is one of my go-to books. 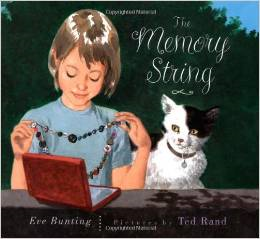 I use this book so often when I am teaching descriptive writing and using the senses. Jane Yolen’s quiet, poetic language never gets old. While not really about the moon, this one is well worth reading! A young girl who is overwhelmed by her daily “To Do” checklist learns how to embrace her inner wild child after meeting a wolfy friend one night. A great message for us all to take a step back from the hustle and bustle of our lives, get out, and enjoy play time in nature. The illustrations are beautiful, with lovely hues of “night” colors and great expressions. I learned a lot about the traditions and celebrations of Ramadan. 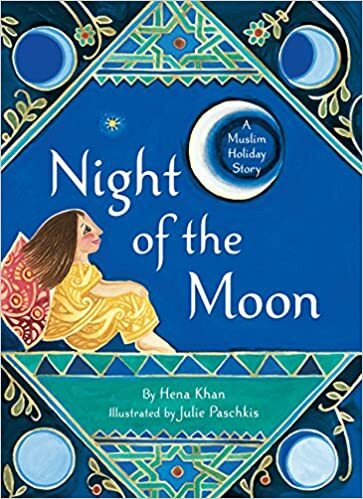 This book centers around a young girl named Yasmeen and her family during Ramadan. It starts by intruding the importance of the moon and how the new moon meant a new month in the Islamic calendar. The book explains about what a traditional Ramadan is like including fasting, parties, prayer delicious foods, and presents. Great authors notes at the back. This would make a perfect anchor for learning about different cultural celebrations. 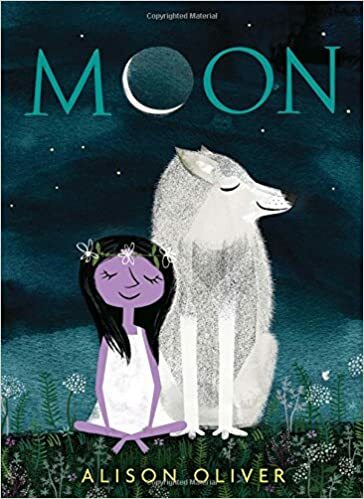 This beautiful picture book is about a girl who confronts her fears and therefore gains a new friend, the moon. 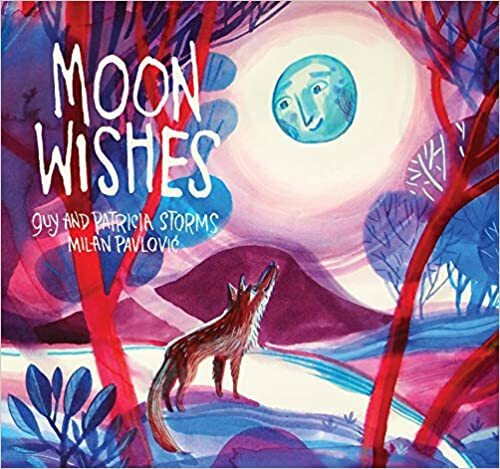 The mixed media illustrations make the moon come alive- and the reader is drawn to the yellow which is as comforting for us as it is for Ella. Simple, sweet story with Caldecott-winning cuddly charcoal style artwork by the great Kevin Henkes. 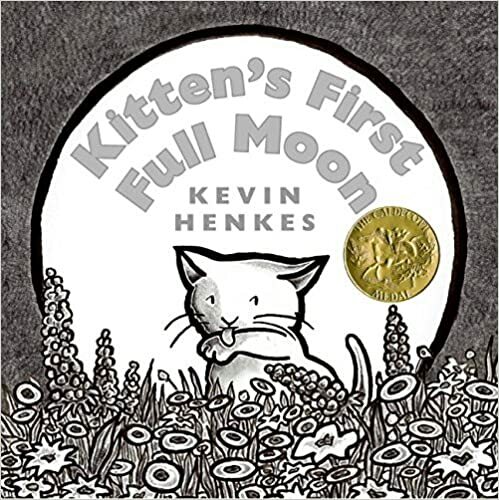 A kitten mistakes a full moon for a bowl of milk and the ensuing adventure is full of mistakes and disappointments but a welcome treat is waiting for her at the end of it all! I love the simplicity of Gail Gibbons’ introductory science books. 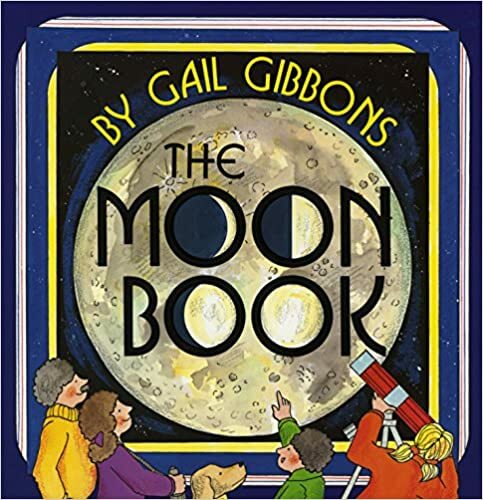 Packed with fascinating facts about the moon but presented in an accessible, easy to read format with her signature colorful illustrations. 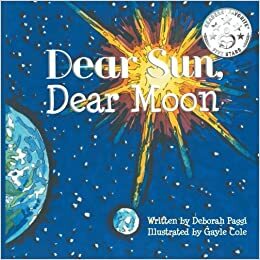 A delightful collection of letters between the sun and the moon, each singing one another’s praises. The sun is praised for starting each day by waking all forms of life, both animal and plant, while the moon is praised for the brilliance of its glow at night, enabling animals to see and forage for food and seek shelter. I LOVE this book so much and will definitely be using it for a writing lesson on voice and personification. If you were the moon, what would you do? This whimsically illustrated and lyrical picture book from Guy & Patricia Storms answers this question with things such as “…wax and wane over the Earth’s troubles,” and “…be a beacon for the lost and lonely.” I loved the language in this brand new book by Groundwood (released next month) and a will be a perfect anchor book for writing. What’s your favorite moon book? It’s Monday! What Are You Reading? 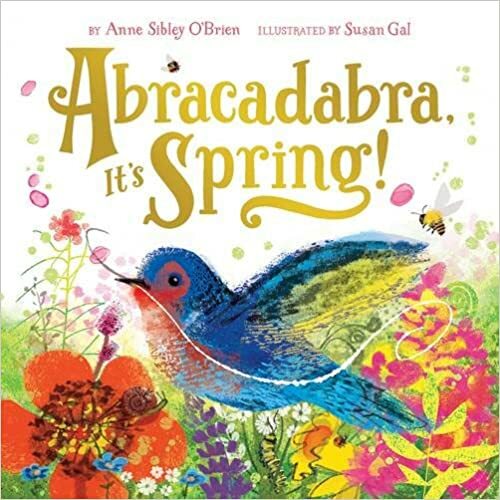 – Picture Books to Celebrate Spring! Well it’s spring break and time so I have had some extra time to READ! 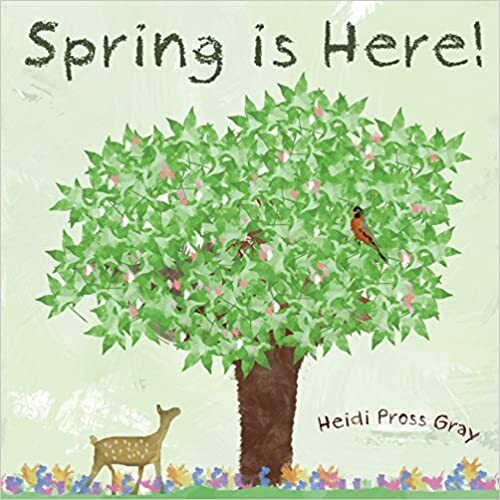 I love the start of a new season and spring books are a chance to celebrate the sights, sounds and smells of outdoors, colors, flowers, gardens, bugs and animals. These books are wonderful anchors for lessons to inspire writing, art, science activities and wonder walks! Below is a list (yes, it’s quite long!) 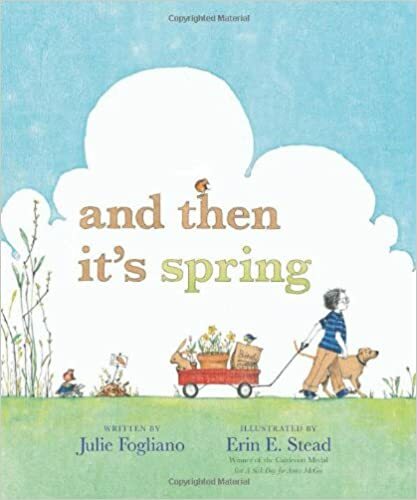 of fiction and nonfiction books celebrating spring, including many wonderful new titles and some of my old favorites! I have listed the books from most recent (2016) to oldest (1949!!!) While some may be out of print, check your local or school library for the older titles. Kevin Henkes brand new book is a sweet, gentle ode to spring that focuses on both nature and a child’s activities. 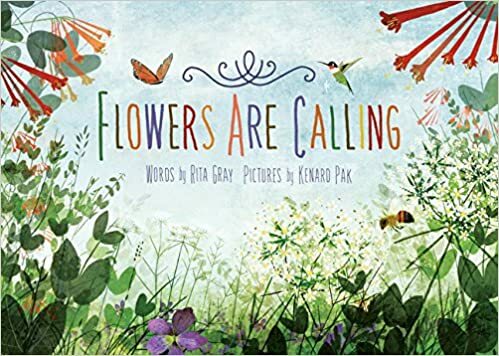 The writing is filled with amazing images to help the reader feel, smell see and hear spring, making it a perfect book for visualizing. I also appreciate gentle repetition and alliteration makes it a great anchor book for writing techniques. Gorgeous illustrations! Love this one! 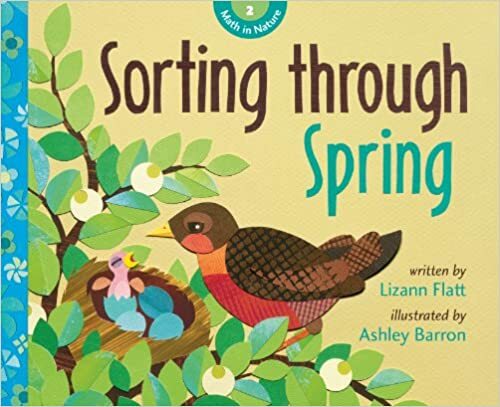 Another 2016 release, this book includes many examples of the signs of spring hidden under large flaps perfect for story time with younger primary students. Vibrant, colorful illustrations! 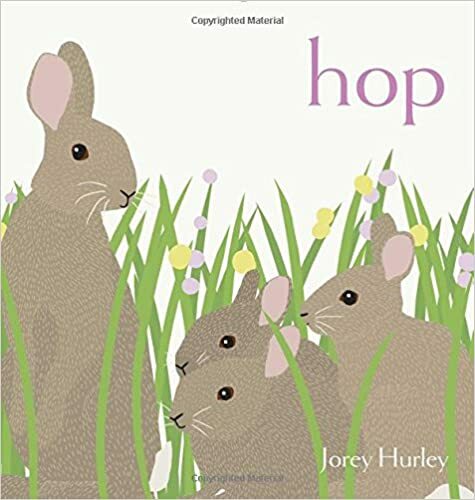 A follow-up to the beautiful book Nest, this book follows a similar pattern of using only one verb per double page spread tells the story of the day in the life of a rabbit family. Soft Spring-colored illustrations help to tell the story. This wonderful book will inspire your next Art lesson! A young boy is frustrated because the rainy day is preventing him from going out and having fun. That is, until his mom encourages him to draw a picture of himself jumping in a big puddle. Eventually, they venture out to experience the puddle jumping together. Imaginative, simple and fun! This book came out last year, but I only just discovered it! 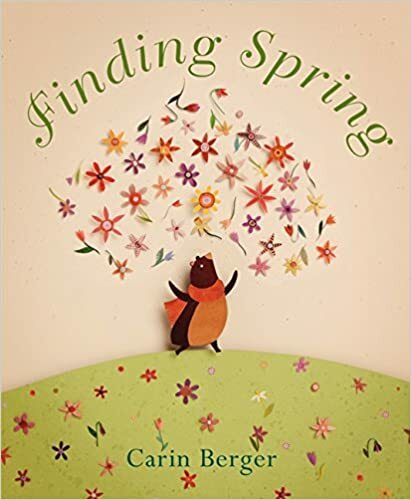 This book explores the SIGHTS and SOUNDS of Spring as a boy, a bear, and other woodland animals take a night time walk to investigate strange noises and observe the arrival of spring. 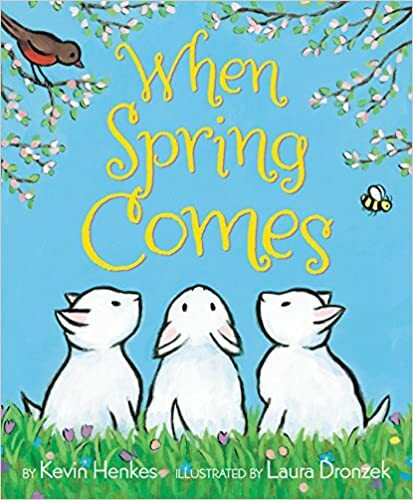 I enjoyed the repeating phrases and liked how it mentions the not-so-nice parts of spring (mud, slush, etc) as well as the beautiful part of spring – animals waking up, birds hatching and flowers blooming. An introduction to flowers, animals, and the ways flowers attract pollinators. Stunning illustrations and great information about nature’s interconnections. Interesting to read and gorgeous to look at. Multidimensional and magical! 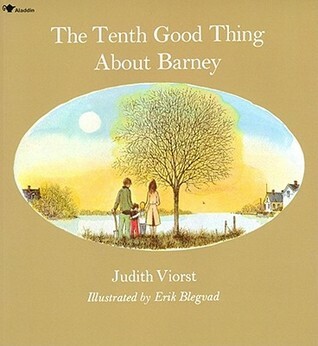 This is a gentle story filled with information and visual clues exploring the change of seasons. You will LOVE the warm, joyful art in this charming book! 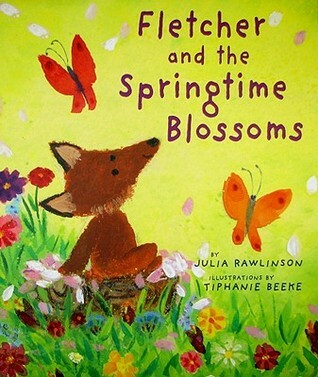 I Love how this wonderful book about the spring ties family activities and nature together. Gentle text, soft illustrations. This is a book I use as an anchor for inspiring spring writing! This book makes my heart smile. Simple, sparse text, gorgeous, expressive illustrations. A boy and his dog. tired of the brown of winter, plant seeds and patiently wait for them to grow. “Please do not stomp here. There are seeds and they are trying.” This is one of my favorites. Nature comes to life to help children grasp “big ideas” in Math in this clever series. In this book the concepts of patterning, sorting, and probability are explored. This series of four books about Math concepts in seasons is perfect for the early primary students. 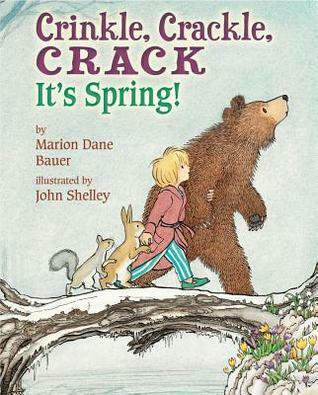 Other books include Counting On Fall, Sizing Up Winter, and Shaping Up Summer. Although not as charming for me as Fletcher and the Falling Leaves, I still am fond of this dear little fox who is, once again, confused by seasonal changes. In this story, he thinks that falling tree blossoms are snow and tries to get the animals to go back to their wintertime activities. Cute read-aloud and colorful illustrations. A reprint soft cover edition of the classic book which can be paired with The Longest Day: Celebrating the Summer Solstice. 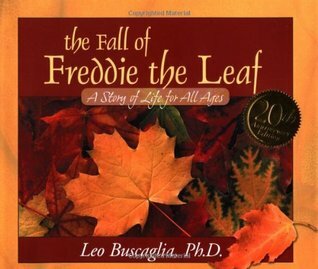 This informative nonfiction book is filled with information describing seasonal changes. I like the section that highlights the many cultural celebrations and festivals that welcome and honour springtime. 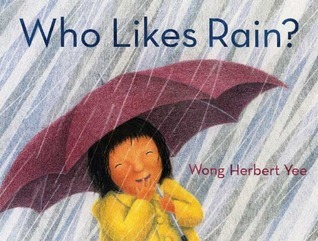 Rain is a big part of springtime in Vancouver so this is a perfect “connect” book for my students! 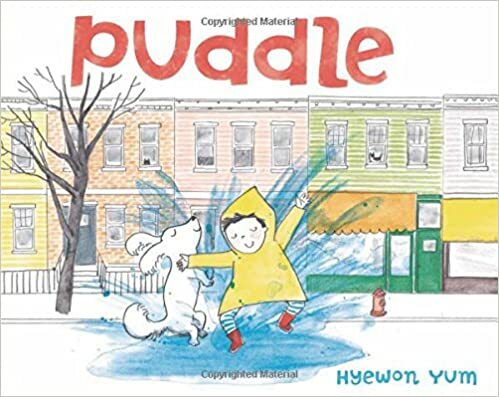 Rich with rhymes and repetition of sounds, this story is about a young girl exploring the sights and sounds of rain. This is the first in a four book series about the seasons. Delightful illustrations! 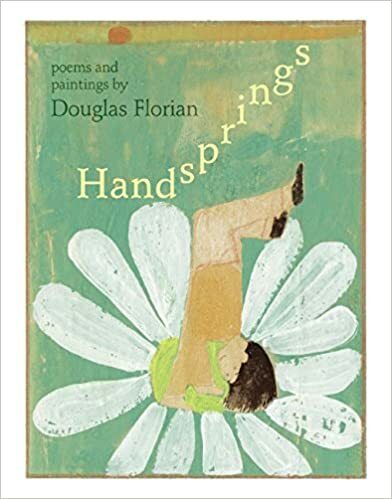 Douglas Florian is my favorite children’s poet. His clever wit, playful way with words, and whimsical illustrations make his poetry books favorite read-alouds in my class. This is one in a series of four poetry books about the seasons. 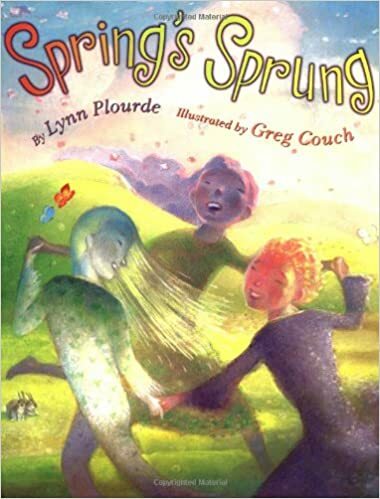 In this 4 book series, which also includes Wild Child (autumn), Summer’s Vacation, and Winter Waits, Lynn Plourde uses personification to tell the story of each season. In this book. Mother Earth rouses her three daughters, March, April and May. They are so busy arguing with each other that they forget their job is to make the world beautiful. 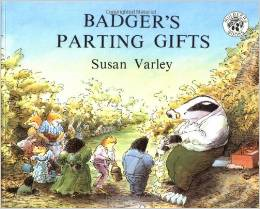 Gorgeous illustrations and lovely rhyming text! I adore Cynthia Rylant and hold a special place in my heart for the Poppleton early reader series. have such fond memories of reading them to my boys when they were young and have read them over the years to many primary classes. This is a level three beginning reader that includes three delightful stories with simple-to-follow plot lines all about Poppleton the pig and his friends, Cherry Sue the Llama and Hudson, the mouse. In this book there is a story about spring cleaning, buying a new bike and, my favorite – sleeping in the backyard in a tent and “paying attention” to Spring. 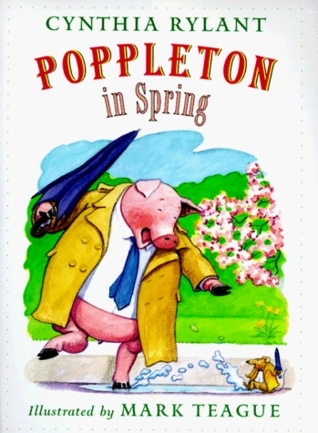 If you have not read any of the Poppleton books, you are MISSING OUT! Woodland animals awake from their deep winter’s sleep to discover the first sign of spring’a flower blooming in the snow. 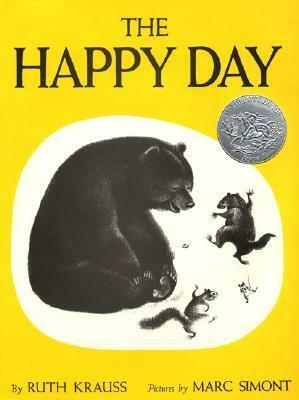 This timeless book was first published in 1949 and was a Caldecott honour book in 1950. The illustrations in this book always makes me smile. Thanks for stopping by! Which book or books have caught your eye? 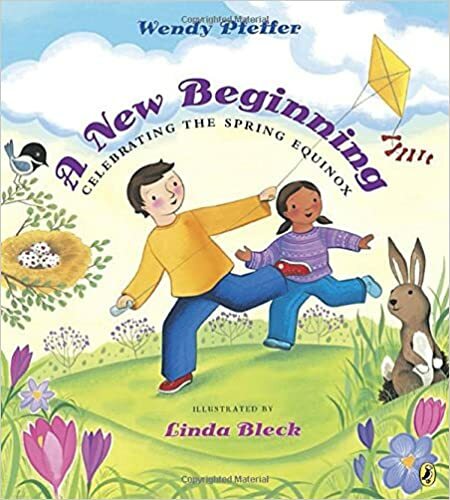 What is your favorite book to celebrate the coming of spring? A very good friend of mine is a principal in a neighbouring school district. On Thursday, she learned that a grade 3 student in her school died under horrific and tragic circumstances. The school, staff, parents and students are, as you can imagine, in shock and disbelief. My friend has the enormous task of trying to support her school community while she, too, is grieving the loss of this dear little girl. 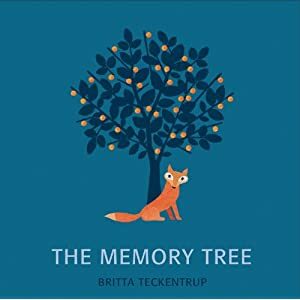 She stopped by my house on Friday and asked if I could recommend any picture books that she might be able to take to school on Monday to read to classes; books that might help them understand and deal with this sudden loss. A beautiful reminder that in times when we may be at a loss for just the right words, we turn to children’s books to find strength and guidance. A young girl deals with the loss of her mother. Holding on to memories of a lost loved one through buttons on a “memory string” and learning to create new ones. When Fox dies, his animal friends gather to share the memories of their friend. A beautiful and heartfelt story about the death of a loved one and the memories that comfort those left behind. This book gives a heart-warming account of how we deal with bereavement and come to terms with the loss of somebody close to us. 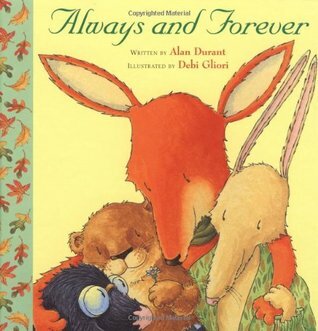 Beautiful illustrations and tender story of forest animals who are dealing with the loss of one of their close friend. 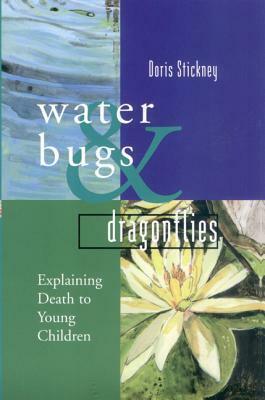 In a simple, meaningful way, Doris Stickley uses an adapted fable about the waterbug that changes into a dragonfly to explain the death of a friend to neighbourhood children. Some spiritual context is implied and while it does not focus on any particular religion, I found it particularly comforting. 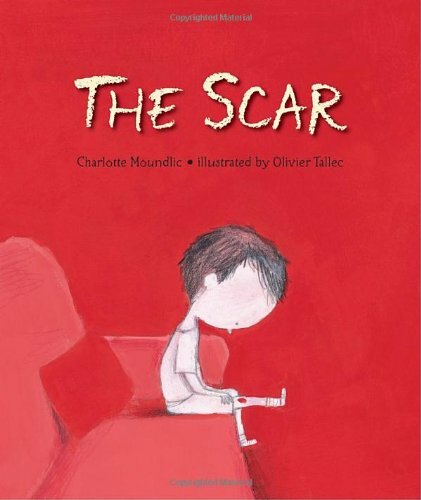 This book tells the story of a young boy trying to grieve, adapt, and accept the death of his mother. Told with such straight forward, simple gestures and emotion from anger to tears, this book will make your heart ache. Powerful and emotional but a very good book to spark discussion and promote hope and healing. This book is about the loss of a pet but I like how sensitively the book touches on expressing feelings about a loss (both sadness and good memories.) It does touch on the idea of Heaven, but does so in a neutral way. 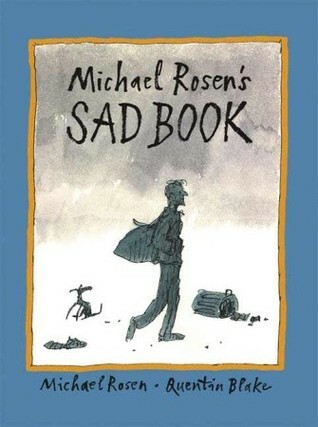 This wonderful book, illustrated by Quentin Blake, describes Michael Rosen’s grief at the death of his son. It vividly describes the ever-changing fluidity of grief – the sudden and unexpected moments of happiness, then anger, then resentment. Knowing that there different ways of being sad is an important message to share with people who are affected by a death or a loss. Haunting, beautiful story of a child and father’s sadness over the death of the mother. Soft illustrations and poetic, subtle word choice – this story is achingly beautiful. This book makes me cry but in a good way. It is an excellent choice when teaching children about the end of life for someone they love. It makes death a natural celebration of peace after a struggle to hang on to something that is no longer important. It speaks of a higher purpose in the circle of all things. 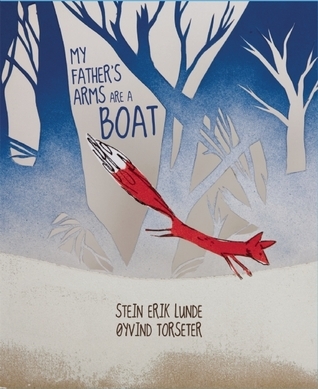 This simple story tells of a young girl who “locks her heart away” after her grandfather dies, protecting it from feeling pain. Wonderful, simple message about how to open up your heart after a loss and begin to love and feel again. Beautiful message of hope and love. This is a heart warming story that introduces grief, loss and the subject of death in a gentle way. I like that the friends are so very sad when their friend dies, but by sharing happy memories of their friend together, it helps them deal with their sadness. This is a heart-aching story of a child dealing with the loss of the family dog. Beautifully written and lovely illustrations. Sad but helpful and hopeful in the end. Thanks for stopping by. I do recommend you read through these any of these books before sharing them with children as some of them may not be appropriate or fit your own beliefs. I would love suggestions of books you have shared with students who may have experienced loss of a loved one. My thoughts and prayers go out to the school community of Rosemary Heights Elementary as they deal with this loss. Filed under Grief, It's Monday, What Are You Reading? It’s Monday! What Are You Reading? – New Books for Summer Reading! Well, summer is officially here and I’m enjoying the slower pace of life! Time to relax, get to my very long “to do” list and enjoy reading lots of books! After a recent visit to my favorite local book store, and a delivery of a few ARC’s – I’m happy to share some of the new books I have been enjoying! 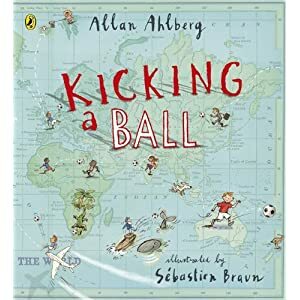 With the excitement of the Fifa World Cup – this book caught my attention! I am also a fan of Allan Ahlberg (The Jolly Postman; Each Peach, Pear, Plum). This wonderful rhyming story is about the simple joy felt by a boy kicking a soccer ball. ‘Not eating an ice-cream Or riding a bike No – kicking a ball Is what I like!” Sebastien Braun’s illustrations are delightful! 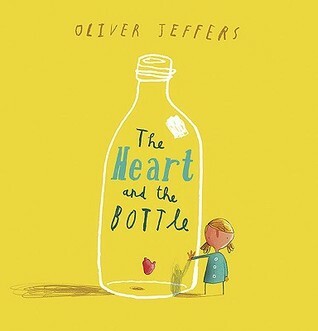 I think this would be a perfect anchor book to read aloud to a young primary class and certainly one that many will make connections to! Last summer, Peter Staake’s moving wordless picture book Bluebird was getting a lot of attention for its powerful depiction of loneliness, bullying, and the importance of friendship. In his latest book, Staake takes a lighter approach in a heart-warming story of a young boy who choses a red book to be his perfect pet! (He does not care for cats or dogs!) 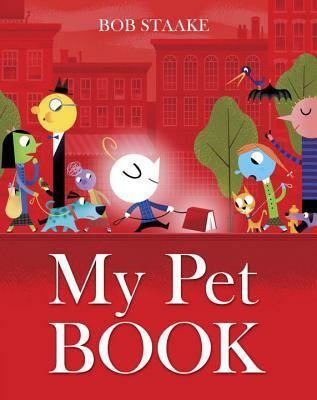 I LOVE the idea that a book can be a pet! The book is told in clever rhyme and is a joy to read aloud. I am already visualizing my class in September dragging around their favorite “pet book” by a leash around the classroom! 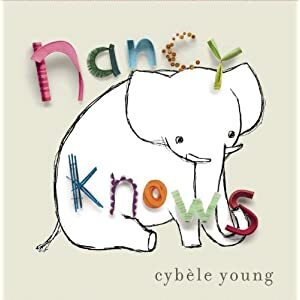 I so enjoyed Canadian writer and illustrator Cybele Young‘s Ten Birds (which won the Governor General’s award) and her follow up Ten Birds Meet a Monster, so was excited to see her new book Nancy Knows. Wow! This book is a whimsical feast for the eyes! It is the charming story of an elephant who remember lots of things, except the very thing she is trying to remember. Each captivating spread features fantastic miniature paper sculptures – it’s an extraordinary work of art as well as a delightful story of a young elephant. This fictional story by another Canadian author is apparently loosely inspired by the life and spirit of the real Julia Child. It tells the story of two best friends – Julia and Simca who take cooking classes. They begin to discover that the adult world is mundane and colorless and so decide they never want to grow up. They begin to create recipes for “growing young” – not in a physical way but spiritually – a joie de vivre! This book is a celebration of youth and being young at heart no matter what your age is. Julie Morstad’s (How To, When I Was Small) delightful illustrations are a perfect match for this book. I’m not sure if it’s a book aimed at adults or children but it’s certainly worth a look! Get your Kleenex ready as this book made me tear up a few times. When fox is dies, his friends gather to share stories and special memories they each shared with fox. As they share their memories, a tree begins to grow, sheltering and protecting the animals like Fox. This book is gentle and comforting and would be a wonderful book to share with any child who may be experiencing the grief of loss. Beautiful and touching. As soon as I saw animal activist Jane Goodall’s name on this book I knew it would be great! This story is based on one of her favorite childhood fables. All the birds are arguing over who can fly the highest so owl devises a contest to see just who can. Eagle wins the contest, flying higher than any other bird, but as it turns out, wren was hiding and riding along in Eagle’s feathers. He begins his flight where eagle stops and soars even higher. So who won the contest? I can see how this book could be used to stimulate many questions and great discussions. 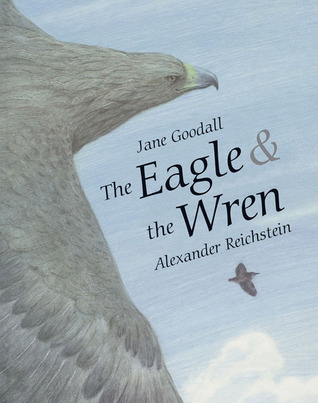 I love how Jane Goodall writes in a non-condescending way and is able to weave bird facts into the story. I also loved the importance of working together to help each other achieve great things. The illustrations are amazing! This is definitely one I look forward to sharing with my class this fall. Besides the catchy title, I so love Renata Liwska’s illustrations (The Quiet Book) that I was immediately drawn to this book. It is the story of three friends – Boom the Bear, Snot the Snail and Twitty the bird, each of whom look at the world differently. Boom wants adventure, Twitty likes things “as is” and Snot prefers to see if there will be better options. When a storm arrives, each deals with it in a slightly different way and eventually they collaborate to deal with it together. I enjoyed this book and the charming illustrations, but for some reason (perhaps from the lively title?) I had expected something a little more lively and humorous. Instead, it was simple and soft but fell a little flat. With “snot” in the title – I expected to laugh more! I did like the theme of respecting each others’ differences and collaboration. 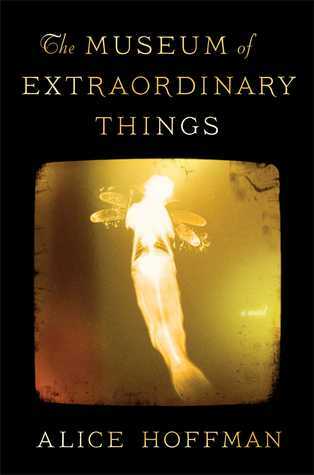 This summer, my book club summer is reading The Museum of Extraordinary Things by Alice Hoffman. We all enjoyed her previous book The Dove Keepers and so far, I am enjoying this one even better. It is a love story that takes place in New York City in the early 1900’s. It is the story of Coralie, the daughter of a sinister museum curator who collects and exhibits “freaks” in his Coney Island side show. Coralie is an exceptional swimmer and when she turns 13, her father creates an exhibit for her as the “Human Mermaid”, making her stay underwater in a life-size tank for hours at a time. The book flips between her story and the story of a rugged photographer named Eddie Cohen, a Russian immigrant who has run away from his father. These two have only just met, but I’m anticipating their lives to become intertwined as the story continues. So far, I am completely drawn into this story – the writing is excellent and I’ve made many T-T connections to The Night Circus and Water For Elephants. A captivating story so far! Well – that’s it for now! Thanks for stopping by and I’d love to know which book has caught your eye! It’s Monday! What Are You Reading? New books from RFTLOI conference!